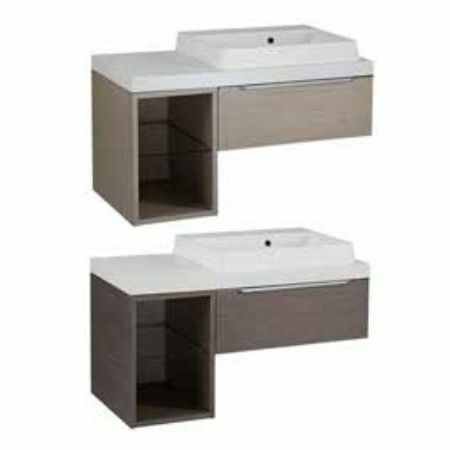 Array’s 550mm Isocast basin and worktops in three sizes have a modern matt finish. This makes for extremely durable worktops which can be cut to suit the basin positioning on installation. Array wall mounted drawer and open storage units are a space efficient 425mm deep and made from a super matt lacquered real wood veneer. Drawer units are soft close, to give a quiet controlled closure, and are finished with a sleek full width chrome handle. A complementary wall hung storage unit completes this extremely flexible, configurable range.